Jakarnaval today will be filled by some activities to promote and support Asian Games and Asian Para Games.
" 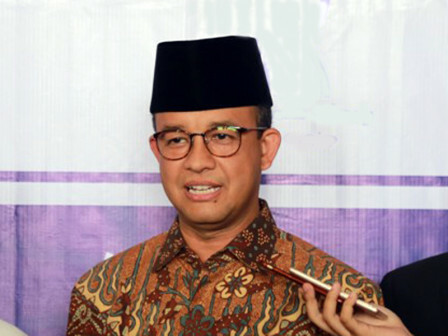 It's a good momentum for people of Jakarta and the Indonesian nation"
Jakarta Governor, Anies Baswedan expressed, Asian Games is an opportunity to be able to recall and reflect in a bid to maintain unity and national unity. "It's a good momentum for people of Jakarta and the Indonesian nation. In overall, it aims to unite in its diversity and achieve the achievement or maintain the reputatiin as a good host," he said, Sunday (7/8). He explained, Jakarnaval that takes theme "The Spirit of Jakarta" becomes pqrt of city's anniversary. "We want Jakarnaval to present a good image of Jakarta in the world," he stated. As for the information, it will run at 3.30-6 PM and will be enlivened by 4,000 participants that divided into two routes. The participation will enliven 2018 Jakarnaval with art and culture parade, as well as 70 decorated vehicles parade from various communities and cross-sectoral agency. There will be main attraction of 45 state flags carrier accompanied by Abang-None Jakarta. Parade route will start in front of City Hall, Arjuna Wijaya Statue, RRI Office, and ends on the west side of Silang Monas. While, the decorated vehicle parade will be started from in front of City Hall, Arjuna Wiwaha, RRI Office and ends at Harmoni. The parade itself will be released by Jakarta Governor, Anies Baswedan. Afterwards, the event will be continued with entertainment stage in Monas that presents some artists. The event opening will also be attended by Ambassadors of the Asian Games and Asian Para Games 2018 countries.